I started this blog in 2008 as a 1st year beekeeper chronicling my efforts to holistically raise honey bees. Tho’ I rarely post here any longer, it still serves as a diary, allowing a look back upon the successes and failures I’ve had. Now in our 12th season, my occasional postings will continue to explore the latest thoughts and techniques used to raise bees as holistically as possible. I do not claim my methods are best or even correct. I do know when I started, my ideas were on the fringe. Today, some have not worked while some have become fairly mainstream. My continued hope is to provide the reader an understanding as to why I try something and to actually see the results. Click on the photos/videos in this blog as I try to describe the joys, trials and tribulations of raising bees with minimal intervention in New Hampshire. 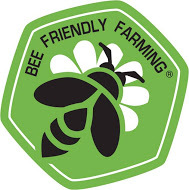 To learn more about Honey Meadow Farm and how caring about soil health, the use of pollinator habitats and the overall organic management of our entire farm enhances our beekeeping, veggie, and fruit yields, visit www.HoneyMeadowFarm.com. I have enjoyed reading about your bees. I would like to start my own organic bees in the nexted year. I wonted to start by getting my fields of wild flowers in first. And go from there i have leaned alot from your readings. thank you. I live in N.H. I worry about the cold winters we have and the bees. Do you sell any bees or have any recommendations for winter ready bees? I’m in VT and bought bees from Georgia for my first season. I just found them all dead :\. I really like that you try to get some good genetics for your region. I hope you keep updating the blog I’ve learned a great deal from it. Don’t hesitate to email me, thanks! no such thing as ‘organic bees’ since they travel for miles … one doesn’t know what is being brought back to the hive, and it’s always been my experience, no matter how good the forage at home, they travel ! it’s the ‘grass is always greener’ syndrome. I noticed Ben (above) asked if you sell bees. I have the same question. I am looking for locally overwintered nucs for sale… any you know of in NH? Intriguingly, my name is ben as well!